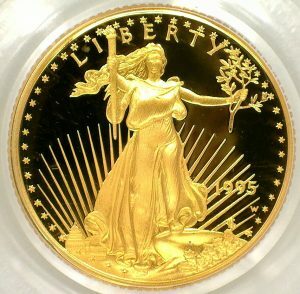 The American Gold Eagle was first minted in 1986 as an official gold bullion coin of the United States under the Gold Bullion Coin Act of 1985. 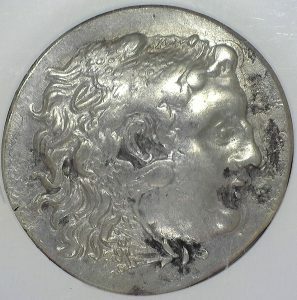 It is available in 1/10oz, 1/4oz, 1/2oz, and 1oz denominations. 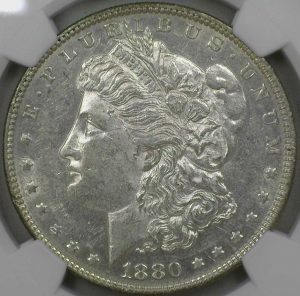 The image is the same on each denomination, the only difference is the size and the lettering of the denomination on each coin. 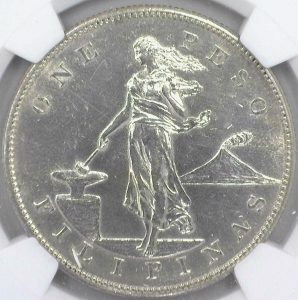 The design for the coin was taken from Augustus Saint-Gaudens’ full-length figure of Lady Liberty holding a torch aloft, with an image of the capitol far behind her. These Coins are all produced at the West Point mint, which was built in 1937 near the West Point Military Academy and mainly produces commemorative coins. 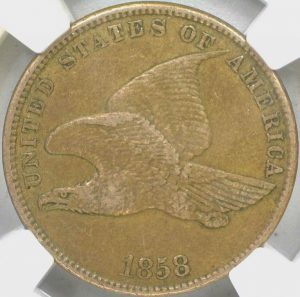 Good Ole Tom’s Carries a wide selection of dates for American Gold Eagle coins and we are getting more in all the time. So come check out what we have in stock!